Do you and your partner live in different cities? Are you quarreling upon where to marry? The bride’s hometown or the groom’s hometown? 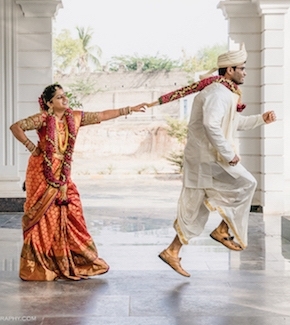 Do you two live in the same city but want a memorable Destination Wedding? Well, do not fret, you’ve found your guide. India is full of exotic locations that suit every season, every mood and every wallet. The best thing about destination weddings is that it makes the experience unforgettable. It also becomes a great excuse for friends and family to ditch work, come on a vacation and completely immerse themselves in the day long rituals. It brings everyone together at one place, which they cannot escape and hence their abundant presence makes the ceremonies more joyous and fun. So without further delay, here is my list of some top locations in India for your ideal destination wedding. I will be a little biased here since I am from Jaipur and have traveled to most of the cities in Rajasthan. Udaipur stands out to be an extremely beautiful city. In the daytime, you come across multiple lakes reflecting the glittering sun rays, which is honestly a mesmerizing view. And at night the thousands of shimmering lights emanating from the breathtaking royal palaces add to the magical wholeness. Udaipur’s air is stuffed with romantic and relaxing vibes, which will be enjoyed by all your guests. Winter is possibly the best time for having your wedding in Udaipur; it will offer you perfect temperature with a perfect wedding location. Your guests can enjoy seeing the lake palace, the city palace, the beautiful Jag Mandir or Saheliyo ki Bari. 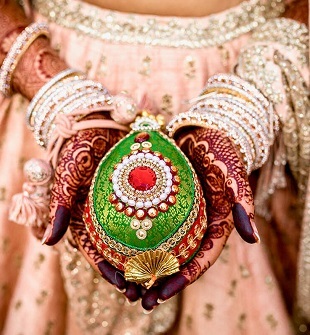 The Taj Lake Palace, The Leela, Oberoi Udaivilas are some places which you can book for your wedding and Mehendi functions. More options that will make your guests enjoy the royal scenic Udaipur would be Fatehgarh, Deogarh Mahal and so on. Andaman and Nicobar Islands- Feel the love on shore. When it comes to beach weddings, most of the people might primarily think of Goa. However, the Andaman and Nicobar Islands bring an even more pleasant surprise with its exotic and exquisite beaches. Setting up your exquisite mandap with the backdrop of crystal blue waves and soft dirt less silver sand beats everything else! It offers you a perfect all year round climate along with less crowded beaches which makes it almost a private location for you. The picturesque Neil Island, Long Island and Havelock Island are some spots where your wedding ceremony can take place. The Barefoot and Seashell resort stand amongst some of the most popular resorts where your guests can enjoy their stay. Miles away from their busy lives, your guests are going to fall in love with these Islands and rediscover themselves amidst your unique wedding rituals. You and your guests are bound to take some unforgettable memories with you along with pictures of scenic islands. Your destination wedding here is going to be absolutely worth it! Purity is synonymous to Rishikesh. A special bond like marriage, which is built upon pureness, can find no better place to spark off than the city where river Ganga flows. 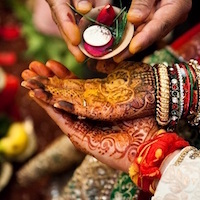 The famous Hotel Ganga Kinare is a very popular location to tie your knot and hold the rituals. More places like Haveli Hari Ganga and Hotel Ganesha Inn can offer a great stay. Being situated in a hilly area, the climate tends to stay pleasantly cool during the summer months and colder in the winter months. Rishikesh is filled with a lot of temples and hence the historic culture, holy blessings, and pure chants float around in the very environment of the location. Enjoy your traditional wedding here. The exclusiveness of this location will certainly make your marriage a special and memorable event while bringing your guests back to their roots. These are my top three picks for a destination wedding, which definitely not offers a very wide variety but the most handpicked selection. These are the destinations not everyone thinks and therefore are very unique. You have a range from forts, lakes, and, palaces to exceptional and exotic beaches to traditionally rooted cities. They are even suited to most seasons and do not touch extreme temperatures all year round, which opens you to a lot of options. That being said, I am sure your hometown is no less than any other destination. It would offer a completely different sentimental value. However, destination weddings are where more sentimental moments can be made. You can create your own new warmth in a location away from home and make it the wedding you have always desired of! Stay tuned to WedAmor for more! Hello there, I've always had this desire to tie a knot in a unique way and guess what, I ended up here. I have to say that the first point I liked very much in this blog is the idea of "Adding Destination to your Wedding.". People who want to have their marriage, not in any ordinary way will always like these type of Destination Weddings. The another thing that I liked is the filtering of these destinations already. Thanks to you, Ms. Namrata. They are really well comprised of holy and holiday destinations to also enjoy rich sightseeing places. It's a great blog on Destination Weddings and I got to gather really good information.